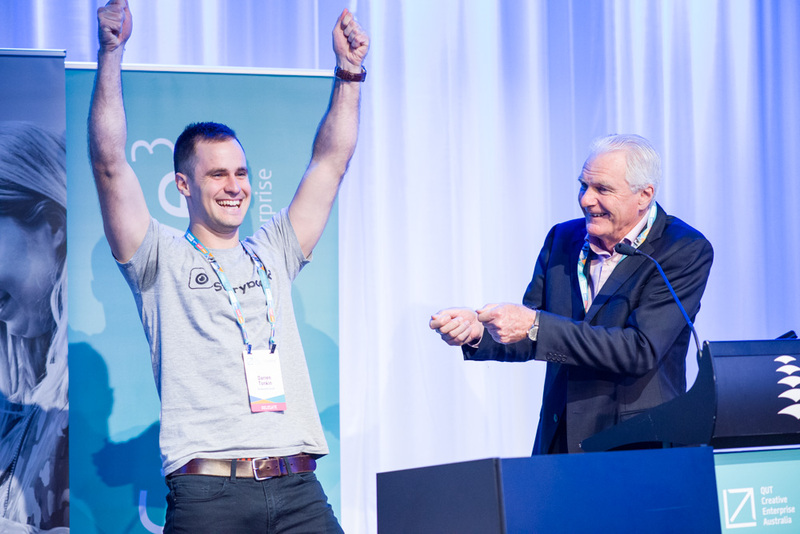 Join us for all the excitement when we crown Australia's Emerging Creative Startup for 2018! Four outstanding businesses will be selected to appear on stage and pitch before a community of investors, corporates, creative leaders, and change makers. The winner will take home a host of money-can’t-buy prizes. 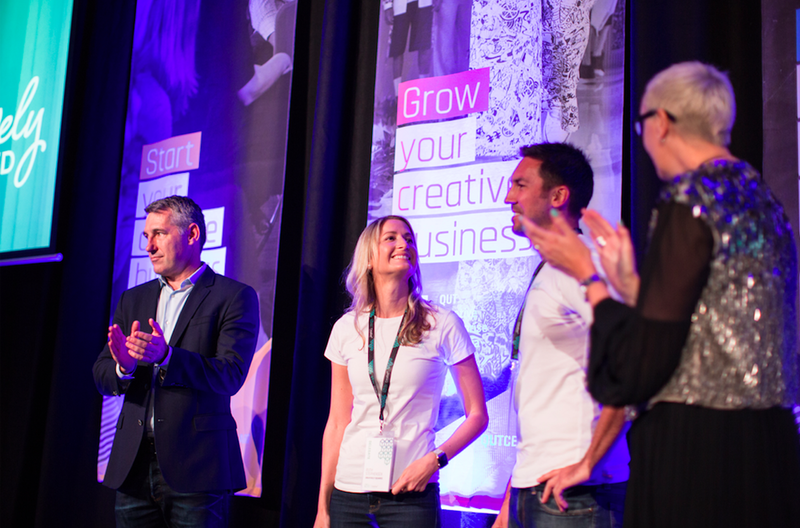 Creative3 Pitch unites leading creative tech entrepreneurs with early stage investment. The competition aims to build the capacity of startup founders in the creative industries, and increase the number of investor-ready businesses in Australia. World's Biggest Garage Sale (WBGS) is a brisbane based startup that offers solutions to commercialise the circular economy. WBGS is building a company that maximises the value of goods already in the economy, through resale, recycling, repurposing, rehoming, renewing, restoring and recommerce. In doing so, they are diverting landfill, drawing wealth from waste, and creating jobs. World’s Biggest Garage Sale is a digital platform that enables communities around the world to hold large scale re-commerce events. By activating dormant goods, they provide positive impact for people, for the planet, and profit for purpose. ski without helmets? The answers ANTI found were to do with comfort, ease of use and fit. To offer a solution to this worrying problem, the team of snow-crazy entrepreneurs at ANTI decided to develop a world first… a beanie that’s as safe as a helmet. The hybrid headwear uses a soft material that hardens on impact. The wearer has the comfort of a beanie as they shred around the slopes but the safety of a helmet when they need it most. After lots of research and development, ANTI now have the technology to create this product. They’re currently in the middle of a pre-seed round, with the aim of having a product in the crowdfunding market November this year. The Can’t Sleep app helps individuals that suffer from insomnia to fall asleep faster and wake up feeling refreshed within just 10 days of use. This is achieved through music which is easy, convenient and has no side effects. The relaxing music is scientifically designed to calm and improve sleep. It is unique because the user builds their own music, composed in real-time using algorithms so it never repeats, never gets boring and is never distracting making it more effective. The app has been presented at the Australian Music Psychology Society and has won an award from the Melbourne Institute of Technology. The current version is available free to beta users with the live launch available in early July from the app store. theright.fit is the first online tool of its kind that simplifies the task of casting, booking, and paying talent using a smartphone, tablet, or computer. Traditionally, companies needed an agency to book talent for a campaign. This process was often expensive and created delays, with clients unable to afford the cost or spare the time to prepare briefs. theright.fit has simplified this process by providing a platform that offers direct access to talent, whilst giving clients full control. This double ended marketplace streamlines the booking and briefing process for clients and allows talent to have the widest opportunity to work. theright.fit has almost 7,000 people on the platform including leading international photographers, professional athletes, celebrity chefs, Miss Universe, and Home and Away actors. Theright.fit is currently working with brands such as Coca Cola, The Iconic, AAMI Insurance and Menulog, and international advertising agencies Havas Worldwide, WPP Groups and The Monkeys. The winners of Creative3 Pitch will clock up some major frequent flyer miles as they present their venture across Europe. The prize package includes flights to Denmark where the winner will represent Australia at the Creative Business Cup (CBC). The team will then travel to London and meet an exclusive network of 25 leading entrepreneurs at the world renowned Virgin StartUp (VSU) mini accelerator program, StepUp. Over the two day intensive, the Virgin StartUp mentors will skyrocket their venture from startup to scaleup. This prize, valued at over $30K, will also include professional legal and accounting services contributed by our partners. 2018 Winner: Awaiting your vote this September! Cofounding husband and wife team Ruth Stephensen and Scott Thomas had quite the year. Before wowing the audience with the winning pitch, they’d just completed their first accelerator, Collider. Creatively Squared connects brands to photographers to create striking visual content. Their mission is to help companies save time and improve their customer engagement through producing tailored and inspiring images. Other past winners include Storyboard, Citizen Wolf and Bluethumb.